This week in the wonderful world of reading, I finished reading a book recommended to me by a friend over a year ago - Cloud Atlas by David Mitchell. I'm so glad she recommended it, and since starting the book, I've been passing the recommendation along to anyone who will listen! It started off slow, but once I made it through the first 50 pages or so, I absolutely couldn't put the book down. Each of the different story lines were so different and absorbing in their own way. If I hadn't had The Nature Fix (which I'm also loving!) to read for the June Alpine Trails Book Club hike, I might have read through the Cloud Atlas a second time right away. I'll definitely be re-reading it as soon as I get the chance! The trail we were working on used to be known as the birdhouse trail. Perhaps someone will be heading out to make some birdhouse improvements as well? Stretching our legs with a walk around Lake Samammish while out running errands on Sunday was an excellent choice! 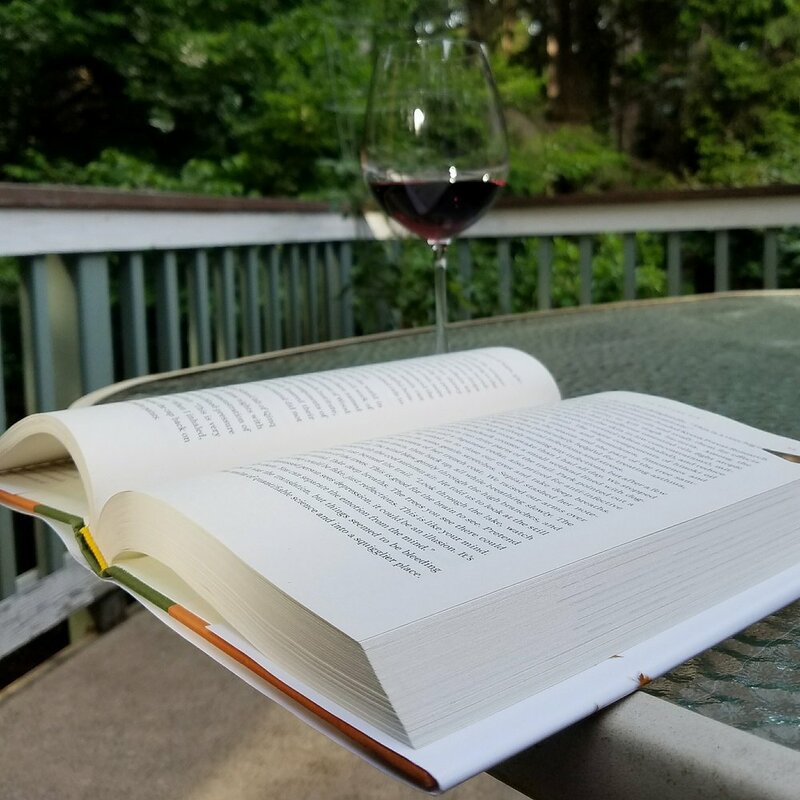 Reading outside at 7 PM - what luxury! My parents have this beautiful Japanese Snowbell in their backyard, which I do not remember at all from my childhood!